Low profile screw-on Barrel extension tube for all CZ75D Compact models. Made of aluminum, it features a 12 mm external thread. Solid construction. 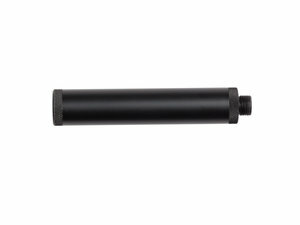 Due to legal requirements, all Barrel extension tubes are empty and without foam or sound baffles. Therefore it feature no measurable sound reduction. It is intended for looks only.